Home › Hackney Play › Pearson Street opens for fun, thrills and friendship! Pearson Street opens for fun, thrills and friendship! 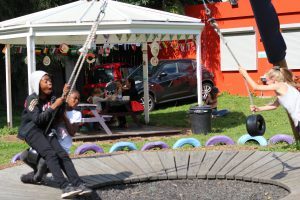 More than 200 children enjoyed playing and making friends over the summer holidays at the newly relaunched Pearson Street adventure playground. 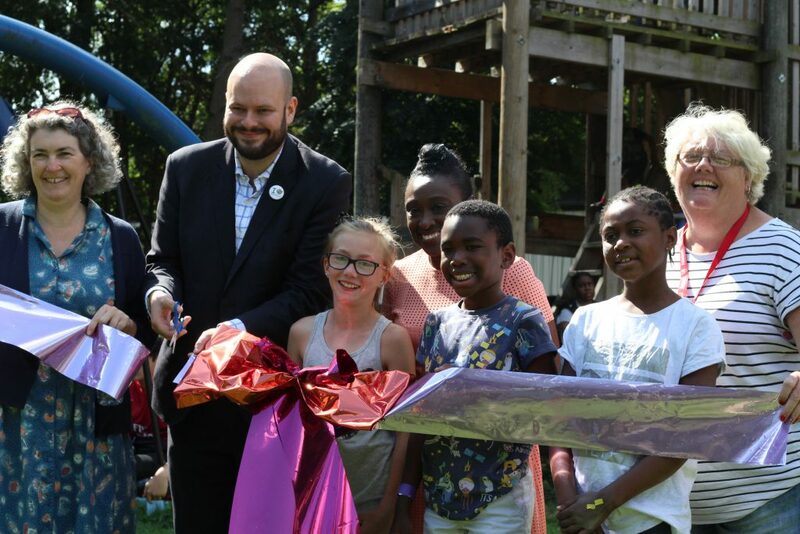 Hackney Mayor Philip Glanville and Deputy Mayor Anntoinette Bramble officially opened the Haggerston-based site on 1st September, helping with den-making as they went. Swings are a big hit! The playground is free and open to all. It had been shut for over a year before the charity Hackney Play Association took over its management. HPA undertook extensive repairs and maintenance of the site, with help from Young Hackney at Hackney Council and also corporate volunteers. 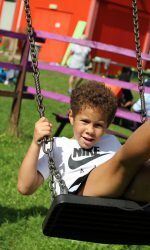 On offer now are: a huge wooden castle, newly reopened fast and thrilling zip wire, multiple swings, sand pit, gardening, ball court, arts and crafts activities , cooking, den building, water play and a slide. 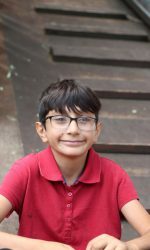 Children also go on occasional trips and there are youth sessions for 11-16 year olds in the evenings Monday-Thursday. Hackney Council commissions HPA to run Pearson Street and also Homerton Grove adventure playgrounds. HPA receives additional grants towards our play services from the Youth Investment Fund/Big Lottery, BBC Children in Need and the Mercers’ Company. Director of HPA Nicola Butler said: “It’s been brilliant to see so many children and young people from the local community coming here – many of them making daily visits and staying all day. 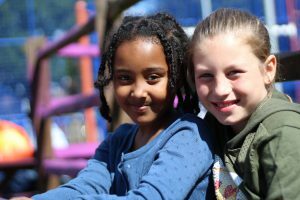 Play is vital for children’s health and happiness and Hackney’s seven adventure playgrounds enable thousands of children to play freely outside – enjoying themselves, being really active and making new friends. 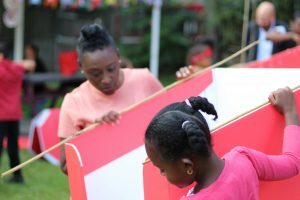 Hackney Play Association works to improve play opportunities for children and young people in Hackney.